There are 1 cat videos tagged with border-collie. 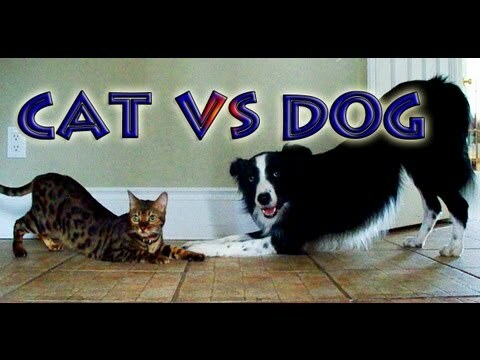 Kaiser the Bengal cat and her best friend Nana the Border Collie compete to see who can do tricks the best in this cat vs. dog showdown. We think that Kaiser wins because how many cats do you know that can do all of these things?! The tricks were all taught with a clicker and positive reinforcement.